RECEIVE A $50 GIFT CARD FOR ONLY $25!, via mail. A 50% SAVINGS. ENJOY! 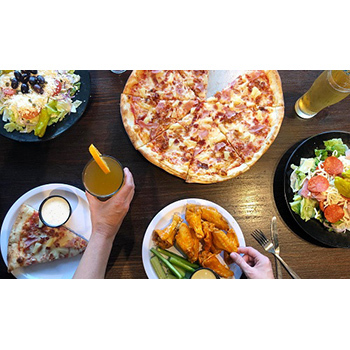 The Village Idiot Pizza and Pub’s original location is in the heart of Five Points in Columbia, SC, and we have been a local favorite since we first stepped on the scene back in 1990. The second location opened in 2009 and is nestled in the Forest Acres neighborhood of Columbia, and our third location just opened in Olympia @ The Mills! 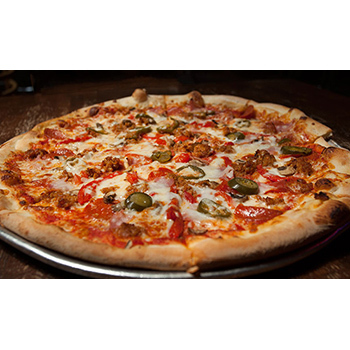 We are famous for our hand-tossed NY-style pizza, available by the slice or a whole pie. Other menu favorites include wings, sandwiches, salads, strombolis, and calzones. If you are looking for a full service experience for a great meal and a pint, the Five Points Pizza and Pub location is the spot for you. Our traditional counter style pizzeria located in Forest Acres has a real neighborhood feel without the bar atmosphere. The newest Idiot offers full service with beer, sangria, and liquor! All locations are excited to serve you whether you dine-in, order for pickup, or get it delivered to the comforts of your home! Order online or call (803) 252-8646! We invite you to come in and hang out with us. You will see that there is always something fun going on at #idiotpizza. With nightly food and drink specials, trivia, sports action on the TV’s, and much more, there is something that will cater to everyone. Speaking of catering, the Village Idiot also has a full service catering department to help you with any business or social function. Check out the catering section for more details. Any unused portion of voucher to be returned via Village Idiot gift card for future use. Valid ONLY at (3) Columbia SC area locations.